※course final start time varies depending on the course and reservation situation. ※As reservations for the day may not be available on request depending on the time, I recommend you to make a reservation in advance. ※New Year 's holiday, Golden week, O - bon are open. Guests other than staying at our hotel, day trips, local people, etc. can also feel free to use. ※The hotel's public bath can be used free of charge on that day. We have prepared a select plan that you can choose according to your wedding schedule, hope and budget. ※For more details, please feel free to contact us. Please spend a relaxing moment with an important person's birthday, celebration, special day and anniversary gift. For those who use the course over 60 minutes, there is a benefit of treatment service & gifts. Lymphatic treatments performed with items tailored to the constitution and physical condition of the customer sound gentle to the deep part and deliver deep relaxation to the mind and body. ※Only options can not be used. ※It can not be attached to head · reflexology. Facial & Body course, "Affordable Package course"
※Other facial / body course combinations possible. ●All course have counseling, change clothes, herbal tea service.It takes about 10 minutes to 15 minutes for the treatment time. 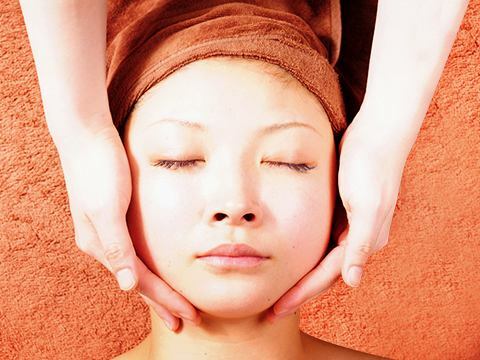 ●Bathing before the beauty salon is recommended.The blood circulation is promoted, the penetration of the treatment agent is good, the beauty salon effect is further enhanced. ●Guests who use the esthetics salon Bijin-ya their stay can use the hotel public bath free of charge on that day. ●If you use facial course please drop in after you make makeup. ●Because it is a reservation system, please understand beforehand because we may change the course contents or change the time in case of coming late for reservation time. ●Those who are pregnant will only be informed of the facial course. ●You can not use people with fever / infectious diseases / drunkenness. ●Those who are being treated due to severe illness / injury (visiting hospital) may not be able to perform the treatment.Please contact us in advance.